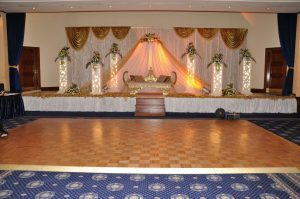 Damas Flowers – The Flower Shop – Page 2 – We Decorate, You Celebrate! Pick flowers to gift on the basis of birth month! When picking flowers for someone’s birthday, it’s easy to go with seasonal choices or their favorite kind of flower or color. 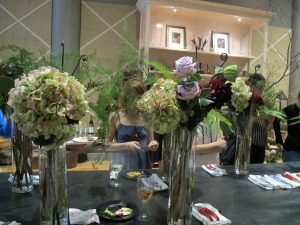 Cheerful birthday flowers include lilies, gerberas, and orchids arranged as an arrangement or a bunch. However, your flower gift can be little more thoughtful than that. Just like star signs, each month of the year has a birth month flower. And therefore, it been said that the personality traits of a person may be the same as the characteristics of that person’s birth month flower. So here is a convenient guide to the kinds of flowers to wish ‘Happy Birthday’ from January to December. For people who born in the month of January, what better bloom to withstand this season than the resilient carnation. Carnations convey love, distinction and fascination. 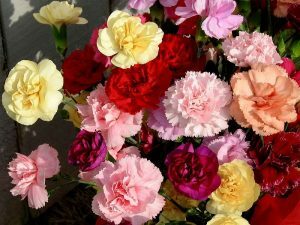 Alike roses, the different colors of carnations have different meanings. 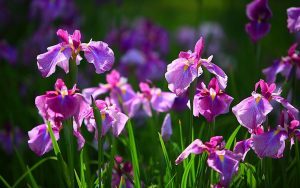 Iris is the birth flower for people who born in the month of February. A beautiful garden flower, it signifies hope faith and knowledge. They are usually available in blue, purple, yellow and white. 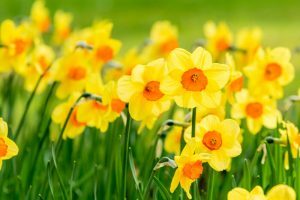 March is the month of bright sunny and yellow daffodils. They are considered happy flowers and perfect for people who born this month. They symbolize new beginnings, friendship & respect. Daisy is the flower for those who wish to be young forever. It is April’s birth flower & represents joy & child innocence. 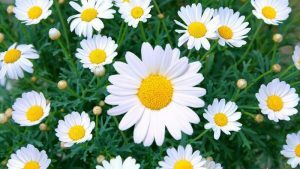 Daises are available in so many colors and varieties. 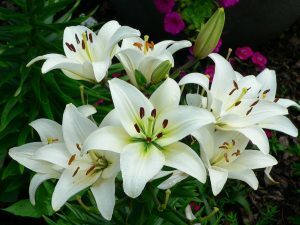 Lily is considered birth flower for people who are born in the month of May. Lily is an attractive little white bell shaped flower, signifies sweetness and humility. 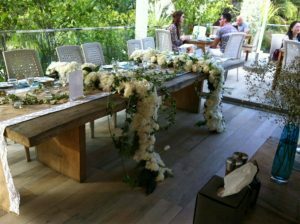 It’s greatly used for gifts, weddings and flower decorations. Rose is the birth flower for June babies. Roses are available is variety of colors and each color represent different emotions such as yellow for friendship, red for love, white for purity & innocence and pink for elegance etc. Thus, Roses are first choice & good to go for birthday wishes. 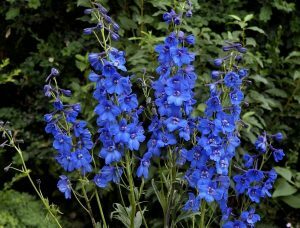 Delphinium is a perfect flower for people born in the month of July. Blue, white and purple delphiniums denotes people who are light hearted and enjoy sense of humor. Gladioli is also Gladys. They represent moral integrity and strength. 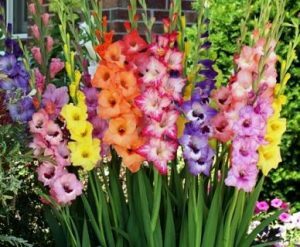 Gladioli can be find in almost all the colors of the rainbow – green, white, pink, yellow, red, purple and orange. 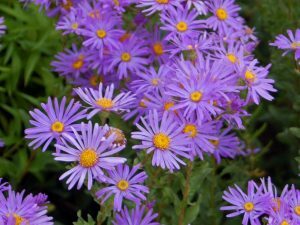 Aster is the birth flower for people born in September. It is perfect for whose personality is grounded by faith, love, and wisdom. Aster looks like beautiful little daisy, which blooms in red, pink, white, mauve and lilac. 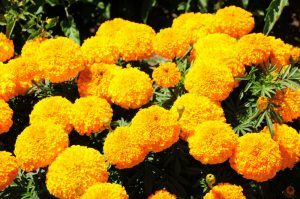 Marigold is the birth flower for the month of October and signifies people who are warm, fierce and devoted. Chrysanthemums flower is the best gift for November babies. It symbolizes happiness, compassion, joy and friendship. Poinsettia is the birth flower for those who born in the month of December. It is also a traditional Christmas flower. This flower represents cheerfulness and future success. Now you all know, which flower to gift in which month and to whom. Perhaps this article will help you to be more thoughtful while sending wishes to your loved ones in their birthdays. 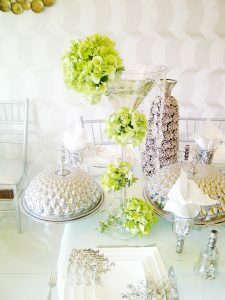 This Eid pay a visit to your local Flower Shop! Be thou the first to express your Eid Al Fitr greetings to your near and dears this Eid. The holy month of Ramadan is about to conclude. After a month’s dedicated devotion and rigorous religious penance, one certainly deserves a grand celebration on Eid Al Fitr by following the norms and procedures of Islam. Sending flowers this Eid to friends, loved ones, to your special someone, relations will not only enchant your life, it will make you someone very extraordinary caring and compassionate. This human life of ours is not for self alone, it is for others as well. One must adopt the character of a flower in one’s life. During this Eid everyone must gift flowers to your near and dears. This will give you an inspiration to be human, to love mankind. Our holy Prophet Hazrat Mohd Hazoor-e-ala Salai-ul-e-sullum (PBUH) had preached, “Allah loves those who love mankind”. As a true devotee and follower of Islam do not miss the opportunity to present flowers this EID. Eid Al Fitr is a very special occasion to express your love, gratitude and reverence to your very special ones. Breaking away from the traditional gifting to gifting flowers in a psychedelic manner will add a special meaning to yourflowery expression. Flower’s characteristics are numerous. It’s fragrance, beautiful looks, its very presence charges one with energy, freshness, happiness, courage adding a new spark in one’s life. It is upon you now to decide, “What to do”? Opportunities in life are rare therefore encash it as it comes. It is rightly said, “time and tide waits for none”. Flowers of different kind and varieties have specific names and reference. The traditional market of flowers dominating in the oxidant are now shifting to the oriental markets of Gulf which definitely is a well-deserved change. Lastly, flowers are very many and in different colours and shape. Choose the colour of your like and choice for gifting. You, I am sure will be blessed and rewarded by Allah the Almighty. 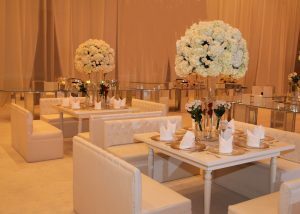 Damas flowers is at your service this Eid Al Fitr with all humbleness. Wish you all “Eid Al Fitr Al Mubarak”.